Concession Golf Club was named after one of the greatest shows of sportsmanship in the history of the game. During the 1969 Ryder Cup at Royal Birkdale, Jack Nicklaus conceded a putt on the final green to Tony Jacklin. The concession allowed the matches to be tied for the first time in Ryder Cup history. Thirty six years later, Nicklaus and Jacklin combined to design The Concession Golf Club in Bradenton, FL. 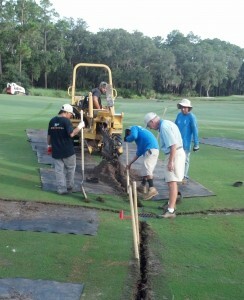 Terry Kennelly, Superintendent at The Concession, just completed the second phase of drainage work at the club. The project was designed by David Steel of Turf Drainage Co. of America, and was installed by Siphon Systems, Inc. out of Jupiter, FL. The original phase that was completed several years ago has been a resounding success in removing ponded water from their 1st hole. This phase dealt with areas on three different holes, and included the use of gravity basins, in combination with siphons and electrical pumps. Every site had an additional seepage field that utilized Turf Drain to provide additional seepage drainage to firm up the fairways. 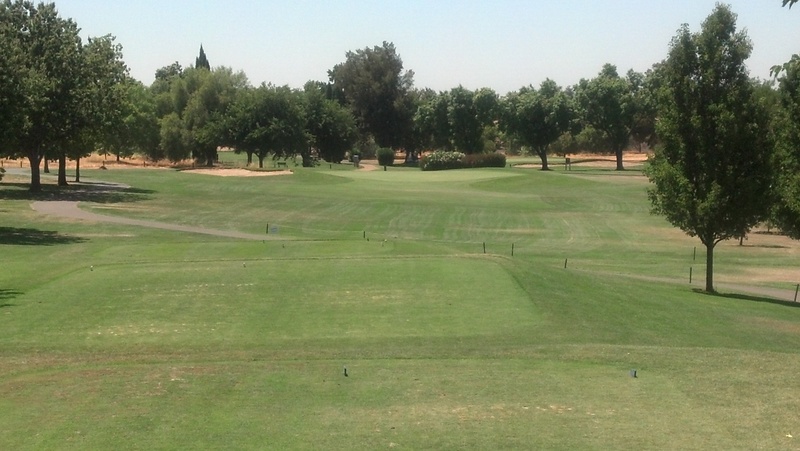 Mather Golf Club, outside of Sacramento, is operated by CourseCo, Inc. CourseCo operates 20 public golf courses in the California area. CourseCo turned to TDA for assistance with their drainage issues at Mather Golf Course. David Steel, National Project Director for TDA, and President of Turf Drainage Co. of the West, worked with Scott Carrier, Regional Superintendent for CourseCo, and Moody Ayeb, Course Superintendent at Mather, to design a plan that would address both seepage issues, as well as major infrastructure improvements to their drainage system over the next several years. While future projects will focus on the replacement of large pipe and the elimination of swales that currently move water across the property, the first phase of construction that began on August 6th will focus on seepage issues of several problem fairways. It wasn’t within the budget to contract out the entire project, so David worked with CourseCo, as he will with any club, on a plan that takes advantage of our RENT A SUPERINTENDENT program. This program can supply a trained job superintendent to work with your crew, or simply train your crew in the best method of installing the systems manufactured by TDA.